Marathon Enterprise Co., Ltd. is reckoned as one of the main suppliers of vacuum forming plastic process. We are a technology driven company and as a result, we utilize latest technology in the industry and use modern production techniques in the making of our vacuum forming plastic sheets. It's a simple vacuum forming plastic packaging but it create more value for product. So, please choose our plastic package. We can provide you custom services, reasonable and low unit price, and delivery quickly. Marathon is able to offer various type packaging such as: vacuum forming blister, bi-fold clamshell, plastic tray, edge fold packaging, insert blister, flocking blister, high frequency blister, ultrasonic plastic boxes, handmade clear box and industrial package. 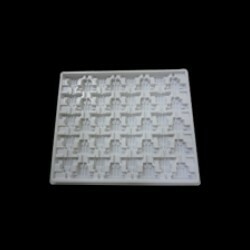 To get the right vacuum forming services, please come and visit our website. Food packaging, electronics packaging, hardware packaging, medical packaging, cosmetics packaging, leisure industry packaging, stationery, seedling packaging.